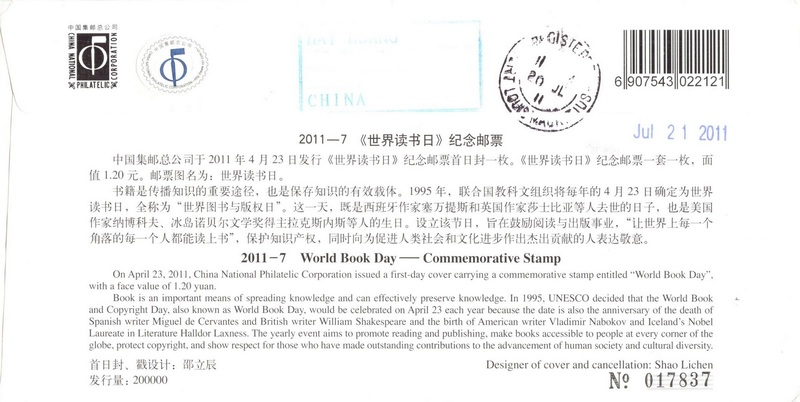 World Book and Copyright Day is celebrated every 23 April worldwide. 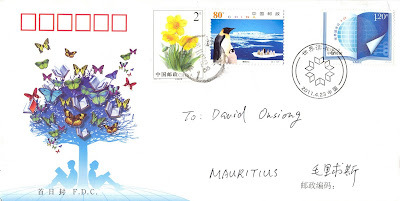 China Post issued on April 23, 2011 a special 1.20元 stamp to celebrate this special event. 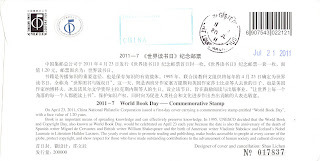 The stamp illustrates the turning pages of a book, a globe and three keys to remind us that books are the key to knowledge, and the words 世界读书日 (World Book Day in Chinese) and the date 4.23 complete the design. This stamp is affixed on the official FDC above sent by Huang from the city of Wuhan.